Kirkdale L5 Deep Carpet & Rug Cleaning Company | Quality Property Care Ltd.
Use this phone number 0151 673 0008 do get to our qualified rug cleaning customer support specialists. They are available for your requests! Organise the deep carpet cleaning assistance right away - it is suitable for commercial and domestic houses as well! Go ahead and book your carpet cleaning services, right now, to make sure the air in your office or home is clean and safe. This method is appropriate for natural and some synthetic materials and can remove greasy and oily stains from short and long fibers without leaving a trace. To properly clean an affected and stained spot of your rug or carpet, we hoover the spot to take out any debris. This agitates the stain and will allow us to more quickly extract the dirt later on. Solids are removed and the area is pre-treated with a special detergent which matches the chemical structure. It allows the hot water extraction procedure melt the stain and leave no footprint. If the carpet allows it the stain is blotted so it better takes the detergent. Once done the cleaners employ a special hot water extractor which blasts the spot with hot water while simultaneously drawing all of the dirt and 95% of the moisture content out. The heat and the pressure of the process, combined with the pre-treatment take out 99% of the stains with full stain removal if it’s quite new. Old and set stains are almost impossible to be fully removed, so acting quickly when the stain occurs is paramount to its proper removal. There is some remaining moisture from the method, which will evaporate safely within 3-4 hours, even less if you reserve our air movers. The most powerful deep cleaning for rugs and carpets is the wet deep carpet cleaning or the hot water extraction carpet cleaning from Quality Property Care Ltd.. It involves pre-treatment of the rug by hoovering with specialized vacuum cleaners, and then carpet stain and spot removal, followed by the steam carpet cleaning. The qualified cleaners perform a high quality shampoo carpet cleaning, using certified and safe cleaning solutions, which will not cause harm to you, your kids or your pets. The carpet or rug will have as much of the water extracted from it, so it will need only 2 hours to fully dry off. If you ask for it, the cleaners can perform a very nice deodorising of your rugs and carpets for an added clean and fresh effect. 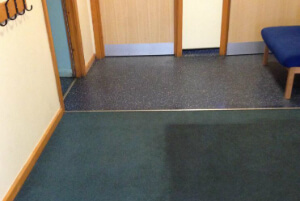 There are some carpets and rugs which can't safely be cleaned with water, so the cleaners will offer you a very efficient and safe dry foam carpet cleaning. 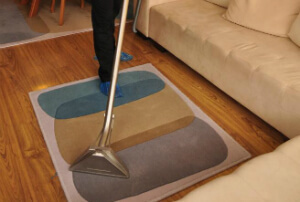 The unique and perfectly safe foam is sprayed and rubbed into the rug or carpet, and after it has done its cleaning work, it is extracted with the suitable vacuum cleaners and tools. The same can be done with your mattresses, curtains or draperies and blinds. Dry carpet cleaning requires no drying time, so you can step on your carpet or rug right after the cleaners are done. Don`t hesitate to book our reasonable carpet cleaning company Kirkdale L5 right now! Quality Property Care Ltd. is available for your requests! Do not hesitate to book any of our specially customised carpet cleaning services in Kirkdale L5 right now! Use the direct online booking form for bookings. Get a free quote immediately on 0151 673 0008!